If you are a member of the European Union (EU), you have special rights under the GDPR. Those include: You have the right to object to the processing of your data and the right to portability of your data. All complaints must be sent to hello@blksheepcreative.com. You also have the right to erasure, rectification, access, or to seek restrictions to the processing of your personal data in our system. To the extent you provide consent to our processing of your personal data, you have the right to withdraw that consent at any time. Any withdrawal of consent does not apply to data collected lawfully prior to such consent. You have the right to lodge a complaint with a supervisory authority containing jurisdiction over GDPR related issues. I only retain Personal Data collected from Users or otherwise for a limited period of time as long as I need it to fulfill the purposes for which I have initially collected it, unless otherwise required by law. I will retain and use information as necessary to comply with my legal obligations, resolve disputes, and enforce my agreements for a period of 7 years. You have the right to request access to the information we have for you. You can do this by contacting us at hello@blksheepcreative.com. We will make sure to provide you with a copy of the data we process about you In order to comply with your request, we may ask you to verify your identity. We will fulfill your request by sending your copy electronically, unless the request specifies a different method. 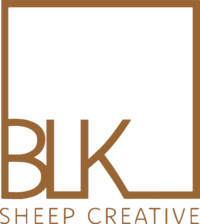 If you believe that the information we have about it is incorrect, or if you wish to remove your private information (such as an email address provided in an opt-in), you may contact us at hello@blksheepcreative.com. Any data that is no longer needed for the purposes specified herein will be deleted. 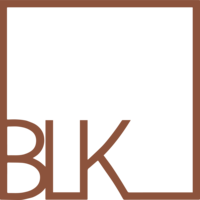 This website is operated by BLK Sheep Creative LLC, Oregon St, Cincinnati, OH. All other feedback, comments, requests for technical support and other communications relating to the Sites should be directed to: hello@blksheepcreative.com.